“The topic of the Belfast Project – an oral history of republican and loyalist paramilitaries that is archived in the Burns Library at Boston College – is one that Slugger O’Toole posters have been tracking for some time. Alan Meban (MEBAN) interviews Dr. Anthony McIntyre, PhD (MCINTYRE) about The Belfast Project, the oral history on the Northern Ireland conflict archived at Boston College and presently under subpoena by the Police Service of Northern Ireland (PSNI). MEBAN: Anthony, can you take us back to what was the beginning of The Belfast Project and when you started to collect the oral histories, I mean, when was that? MCINTYRE: The first oral history interview would have been carried out around February of 2001. I have a distinct memory of carrying it out at that time because my daughter, who was just born around the time when we began, and I’ve always associated the two events; in my mind there’s a link between them. MEBAN: And at the time, what do you feel the purpose of it was? What were you starting out on? MCINTYRE: I was starting out on a journey of bringing voices into the overall historical narrative. I have a view of history, I mean given that I’ve done some historical training and have an interest in it, I have a view of history that when history becomes dominant to the extent that it manages to suppress or marginalise another. And therefore I think it’s very important to have as many voices in the historical narrative. It adds more colour, complexity, and shading to the tapestry that is history. Over the course of decades we have been moving history away from the kings and queens, the generals and prime ministers, the politicians and judges. We’ve been getting the history of the subjects rather than the rulers, the prisoners rather than their gaolers, the voter rather than the voted. I’ve always thought that it’s very important to get voices out that are different from what the norm is. MEBAN: Between you and Ed Moloney you interviewed quite a number of Republicans? MCINTYRE: Well, we interview twenty-six people at the Republican side of the project. MEBAN: And then obviously there was a Loyalist side to it as well? MCINTYRE: There was a Loyalist side to it but I have absolutely no idea who was interviewed there. Ed would know. I don’t have any idea. MEBAN: But from a Republican side did it cover a wide spectrum of different Republican views? Or did it tend to be folk who were less enamoured with the IRA and Sinn Féin by that stage? Was it a reasonably wide range? MCINTYRE: Within its range it sought to cover all manner of Republicanism. Its first purpose obviously was to make sure that the whole project was protected and one of the criteria for interviewing people was the reliability in terms of confidence. Would they go off blurting it? So those things were taken into consideration. And in many senses that would have made it difficult to get as many Sinn Féin people as I would have liked to have gotten. And I don’t wanted to give any details away about the type of people that I interviewed. But I interviewed people primarily for their knowledge of Republicanism and not for their gripes or their animosities or their critiques. I didn’t go out and say: right! he or she may do so because they don’t like Gerry Adams or they don’t like the ceasefire. I was prepared to talk to a wide range of Republicans. But as you can imagine, with the criterion of confidentiality on the part of the interviewees, that would restrict the pool. For example, if I would have went to somebody in the local IRA Company the chances are that that person would have run off and told Sinn Féin and then the project would have been in trouble. There was a prudent approach taken. But I think that when the whole archive eventually does come out, at whatever point in the future, people will be pleasantly surprised at the range of views enlisted. 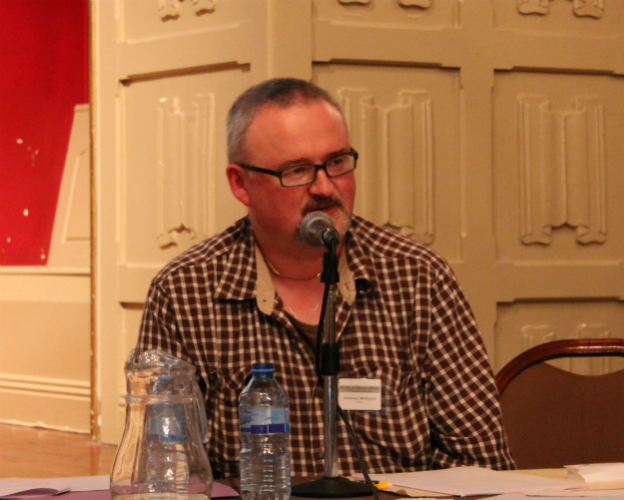 MEBAN: The first time that the archive in a sense has gone public really, was with two of the contributors (who) had died, Brendan Hughes and David Ervine, reasonably big names with big stories, particularly Brendan’s point of view. And Ed Moloney wrote that up into a book and I think there’s a documentary and you’ve got Voices From the Grave. Did you expect that might be the pattern for subsequent contributors over time? MCINTYRE: No, not at all, Alan. The problem there was that Brendan Hughes had insisted while he was alive that he wanted his interviews published then. Now that would have seriously jeopardised the project, I thought. So we had to persuade him to hold his wish, as they say. And we promised him that at some point we would do our utmost to get his story out there. I did say to him, because he was insisting on this and I did say to him: that if he ever died on us – we used to slag him quite a lot about Gerry carrying him up the road and telling everybody he was in support of the peace process – so that sort of banter went on. But I had told him on occasion that no matter what I would endeavour to get his writings out. And then Boston College in the interest of balance and also to promote their own image of being a sort of mediator/bridge-builder in what they liked to refer to as the two sides in the Northern conflict – it was their idea to push the David Ervine narrative as well. MEBAN: I haven’t gotten to that but I have the book yet so don’t spoil it. I think that it’s going to be quite a bit different. It will be less about what actually but more what he felt and thought and his analysis of what what going on maybe rather than details of action? MCINTYRE: You also have to bear in mind that the UVF, the organisation to which David Ervine once belonged, gave approval to their people’s involvement in this and what restrictions they may have put on that approval, that decision, I do not know. But the fact that they were involved also underscores another point: and that was that the UVF actually met with, as a corporate body, met with representatives of Boston College. And one of the issues that they raised was would the material be resistant to, not just a court order because they said they were quite satisfied with Boston College’s assurances that it would be resistant to any court order, but they didn’t want the PSNI getting a sneak look at it. And they were told that under no circumstances would the PSNI get a sneak look at it. So in many ways I think that underlines the point that has been made from the outset that Boston College very much gave the guarantees of unlimited confidentiality. MEBAN: If there was going to be kind of a succession of books and narratives how did you expect the tapes or the interviews to be used? Did you kind of reckon it would be something for the next generation of history researchers were going to pick them up and kind of look at them all together after kind of another thirty years or did you think actually some of them would be critiqued and stuff would get publish or at least kind of researched as time went on? MCINTYRE: I think it’s safe enough to say now that some of the people who have been interviewed for the project are dead. MEBAN: You mentioned that in the RTÉ interview the other day, I think. MCINTYRE: I think it has been explained very well that simply because a person died does not mean – nor never meant – that their material was going to be published in book form. Ed was involved independent of myself in negotiations with Boston College around the time, shortly before the subpoena was issued, for the conditions whereby people would have access to the interviews upon the death of people. And he was determined to ensure that it would be for a bona fide research exercise. That people could not simply walk in and say: well let’s have a look at it. And there was all manner of discussions and speculations at various points, just brainstorming about how these things could eventually become public: Should they be digitised? Should it be put in transcript form and put on the ‘net? So there was no hard and fast rules in relation to it. But there’s no point in gathering an oral history if at some point it is not made available to the public. This is the whole point of doing it because, as we have written before the subpoenas even came out so it’s not a new argument on our part, it was a truth recovery process and we were trying to bring as much truth and honesty to the Republican end of the war narrative as was possible. So there was no point in bringing out this truth, Alan, if people weren’t going to hear it at some point. MEBAN: You had no fixed plan all along as to how that would come out? MCINTYRE: No, not at my end. No. I had always thought long and hard about it. I had spoke to people, funny enough, after the publication of Brendan Hughes’ book, the book on Brendan and David Ervine, and I was at, one night I was at a debate, a discussion at Conway Mill, and some people were critical of the fact that this type of project had went on – and that’s their right to have a different viewpoint from me – and others – some of them wanted it delayed, the material to come out at a time when everybody who was alive and involved in the conflict were dead. And others took the view that the people who were involved in the conflict, the people who were most affected by it, those people had a right, a greater right to hear the stories and to gain a better understanding of the conflict, than posterity. So we had different views of it and at times it was pushed from one to the other and wandering and I never settled firmly on any one particular view. I was always willing to listen to whatever was put forward. MEBAN: The whole situation with the project changed really. Did it change at the point where Dolours said publicly that she had had taped interviews? Was that the point where the cat got out of the bag which led to the possibility that the PSNI could start to put in a – get the UK government to ask the US government to help them with an investigation? That was kind of at the point where they had some kind of leverage? MCINTYRE: Well, there’s a debate about this. In our affidavits, and in particular Ed Moloney’s affidavits to the US courts and the court in The North, he is of the view that, and I support him in this, he is of the view that what actually acted as a catalyst for this was: a report appeared in The Irish News by Allison Morris about how Allison had interviewed Dolours Price and Allison run with a report. Three days later Ciarán Barnes, the journalist in The Sunday Life, he ran with a report with more details than appeared in Allison’s. 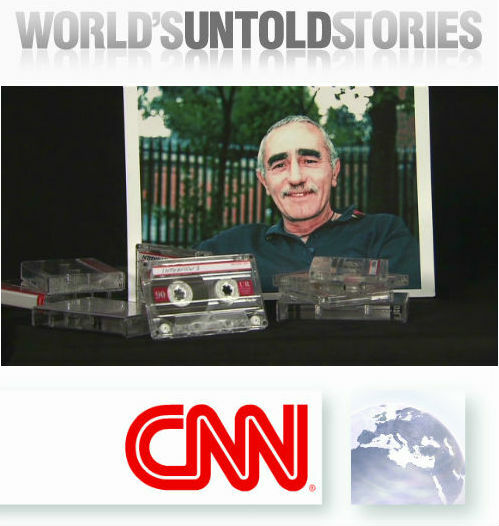 Now Ciarán’s report was used by the authorities in the United States and they said that Ciarán Barnes had said that he had listened to the Boston College tapes. In actual fact Ciarán Barnes hadn’t said that he’d listened to the Boston College tapes as such. 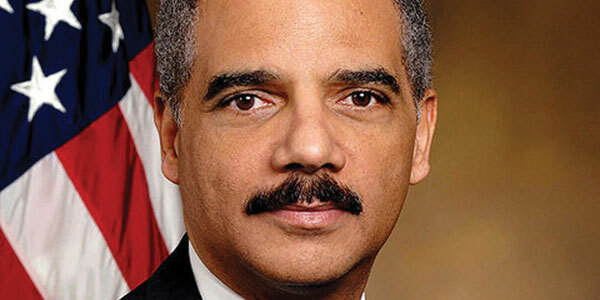 But the Attorney General in the US seems to have inferred from his report that he did. And then they moved after that to make a bid to get the tapes. So we will never really know I suppose. But in my view that’s what the catalyst was. What we do have is the US court relying on their interpretation of what Ciarán Barnes had said and Ciarán Barnes’ own report. I didn’t see that he had said that he had read, that he had heard the tape that she made; he actually referred to it as Boston University. So I think it was their mischievous or a genuine mistake but it was their interpretation of his report, in my view, sent them off in pursuit of this archive. MEBAN: Boston College put up an initial fight and then you and Ed Moloney have kind of taken your own action independently to try and prevent the stuff being handed across. You’ve also had action within the Belfast courts to try and make sure that should this stuff actually get handed over that it wouldn’t be released. MCINTYRE: That’s correct. Boston College put up a lame fight; they were sort of flickering their eyes at the court. They had told us that a legal strategy would sufficed. We had urged them to engage in an political strategy of contacting other universities, of trying to enlist academic support. And we know that when people approached Boston College to give their support Boston College basically shunned it. And they went down this legal path and I think with all intentions of hiding behind the judgment of the court. And the judgment of the court was unfavourable to us and then they folded completely and they decided not to appeal. And Jack Dunn, the spokesman for Boston College, put out an enormous amounts erroneous statements and misleading statements. And at one time accused Ed Moloney very wrongly of having published the book of his own accord and having been the only person to have taken royalties. MEBAN: I was thinking that…I remember reading that, yeah. MCINTYRE: …and had taken royalties and put them into their own personal accounts. Which clearly showed that Boston College, while trying to put the blame on Ed for having started the whole thing, were in fact involved in the production of the book. And had there been any risk whatsoever of a subpoena that was the time for Boston College to raise it. And they didn’t raise it. But myself and Ed Moloney sought to intervene in the court because the judge, Judge Young, and the Boston courts and some of the federal courts was not allowing us to come in and make interventions on our own behalf. We had ceased to have confidence in Boston College’s legal strategy. And then the First Circuit ruled against us and we then have applied to have the case heard in the Supreme Court. One of the justices put a Stay on any hand-over of the archive until such time as the Supreme Court makes a decision on hearing the case. MEBAN: Which could be quite some time if they ever hear it? MCINTYRE: Well, I’m led to believe that these things can move pretty quickly because they actually only hear a very small percentage of the thousands of cases that apply for “cert” (Certiorari) every year, I mean a very small percentage of cases, are actually heard. So I think that they do move quickly. At the moment we are waiting. We have a number of what are called amicus briefs, the friend of the court briefs, and four of those amicus briefs were submitted to the Supreme Court for its consideration. And an amicus brief does not by necessity take a side in this. It merely shows a wider public interest. Now the government, the US government Attorney General, tried an old strategy of ignoring our application to the court. And this old strategy is one where you just do not respond and the strategic logic in it is that by refusing to respond or failing to respond you convey to the Supreme Court justices, who are considering whether or not to hear the case, that you are treating it with contempt and that you’re not concerned about it so you don’t even bother going to the expense or time to make a response. What happened after the amicus briefs went in was that the government suddenly asked for more time and were given until the end of January after which we would had ten days to reply. So there was a degree of seriousness injected into the case and the government was forced to move. At the moment that’s where it sits. There’s still a Stay on the material. Nothing is getting handed over. Certainly not until that Stay is lifted and there’s no sign that Stay is going to be lifted any time soon. 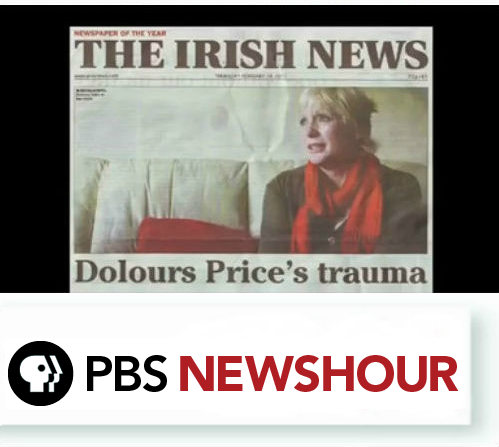 Running parallel with this is that Boston College has appealed to the First Circuit Court to drop the case given that Dolours Price has unfortunately died. They said that the whole issue is now moot and that there should be no further action. MEBAN: In terms of going forward: either your action will be successful and the stuff won’t be handed over and will kind of go back to the way it was two or three years ago or some or all of the material will be handed over. If it gets handed over it doesn’t necessarily become public. I mean I can’t see the PSNI putting it on their website. They may have very limited success actually using it – was given in a personal basis – it was given to be really listened to by researchers after their death. It could be a bit of a damp squib. MCINTYRE: It could be. And one would hope that it would be. But are we guaranteed anything in the courts in The North? I’m not sure. If it gets to the courts even. But the PSNI I think are certainly pushing for this with a vigour. And it seems it goes the whole way up. It may have bypassed the NIO at the start and then it was handled by the Home Office. But certainly between the PSNI and the Home Office, and I imagine the NIO by this stage, are all on board and are determined to get this material. Now are they risking so much good will? Are they risking annoying the academic establishment just for the sake of having a read at what’s there when it’ll come out eventually? Or do they want it for prosecutions? I believe they want it for prosecutions. And I believe that they also want it for the purposes of, some of the elements anyway, want to see it for the purposes of embarrassing (Gerry) Adams who does seem to be under pressure these days in relation to many questions that take us back to the past. I think this is always going to exist, Alan. We can never really move away from the conflict while people who were central to the past remain central to the present. And I think that sort of thing is always going to dog us. For that reason I think maybe had Mr. Adams and company had not been around the determination to get these archives would not have been as great as it is. MEBAN: You talked in a recent interview about the possibility of destroying the archive. Obviously you don’t hold it. Would that not that be a terribly sad thing with the history bit of your background and belief in oral history and wanting try to capture this stuff to turn your back and kind of destroy potentially hundreds of hours of stuff? MCINTYRE: I understand how some people maybe see it that way. MEBAN: Because it seems quite drastic from your point of view to be thinking of it like that. MCINTYRE: It’s not as drastic as the PSNI getting their hands on it and turning it into evidence. I think the task of researcher is to protect those who participated in the research from any harmful effects. That’s your first objective. That’s the ethical imperative. And after that the interviews don’t really matter by comparison to the welfare of the interviewees. MEBAN: The majority of whom, of the interviewees, they’re alive? MCINTYRE: Yes…if they’re all dead – yeah, keep them. But the fact that they’re not I would be determined to argue the case that to keep with the ethics of it all the stuff should be destroyed before you’d let harm to occur to those people who took part. I think that a researcher has an obligation to engage in civil disobedience and what better civil disobedience than destroying the means that can harm interviewees? It’s an academic point simply because I don’t have control of them. But it had been put to Boston College quite some time ago that they had an obligation to destroy these things rather than let them fall into the wrong hands. And if destroying them was the only way to honour their promises then destruction? So be it. That’s the way it would have to be. But Boston College balked at that and then began complaining that one of the reasons they were not prepared to hand any material over to me was because Ed Moloney said it should be destroyed. Well, Ed Moloney never suggested at any point that if we got the material it would be destroyed. The whole purpose of us getting the material was to protect it and to ensure that would ultimately be released under the terms that it was given to us on. And we’ve seen that the suggestion to Boston College…the reaction it was met with…was totally cowardly. But Boston College, these rich, powerful institutions, and sometimes the people who defend them, will not engage in civil disobedience. They will expect the researchers, the students… everybody else take the hit. The institution won’t take a hit and it will engage in institutional lying to protect itself and its interests. MEBAN: Do you wish it had been with a different college under a different set of rules? MCINTYRE: I have stated on record before that I regret that I got involved in it simply because of the harmful effect that it could have on other people. The project is eminently defensible. It was simply done with the wrong university. Both ourselves and the Loyalists relied on the word of the university that had a law school, that was prestigious, that was well regarded in Ireland, that had set up its stall in terms of having helped the peace process. 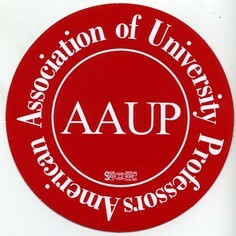 We relied on that university with its array of lawyers, its wealth to have done the homework for us. But it turned out that it hadn’t and we have had to pay a terrible price for that. So in that sense I regret getting involved with Boston College. Yes, very much so. It was on American soil and we would have never done it had somebody had said put it in Queen’s (University). We wouldn’t have felt that it was safe. Boston College led us to believe it was absolutely safe at an American university. But unfortunately we fell for it and unfortunately for our research participants we believed Boston College and we’re now paying the price. MEBAN: Lastly, Senator John Kerry, he has now been confirmed or appointed – it’s unanimously agreed that he can be the Secretary of State. He’s an alumnae of the Boston College. I think that’s where he did his law. He’s previously written to Hillary Clinton when she was in that role. Do you think there’s any chance he’ll remember about you when he sits in the big seat behind the big desk? MCINTYRE: He will be reminded about us. Then we move into what they call realpolitik. Then we will really see what happens, just how strong the British desire is at the top to get this. Because if John Kerry allows this to be handed over then we know that the opposition he faced to his motion to quash was very, very strong and he didn’t feel that as a diplomat he could resist it. MEBAN: Does it offer you some hope in that route? MCINTYRE: Oh, I do. I think there’s great hope in the political route if the legal route fails. And I’m hopeful that we will get a result but there has been some discussion on this side of the pond that a few nasty PSNI detectives are behind this. A few nasty PSNI detectives wouldn’t be able to withstand a rebuke from the Secretary of State and the US Department of State. But the further up the food chain it goes in terms of the British state itself and up to the British Home Office if they are determined to continue pushing it and are ignoring whatever advice may be coming from the wiser heads, if indeed there are any at the NIO, then we’ll know that there’s much more maligned, nefarious agenda at play here and which seems to be a total abandonment of the principles pursued by Peter Mandelson and (Peter) Hain when they were at the NIO. Because at one time Mandelson actually said that he was not going to pursue extradition of people from the South as it was an absolute waste of time and they would only serve two years anyway. So why are they determined to poke at the past? In the coming months we will get a greater understanding of that. And I think in the coming months we’ll have get a greater understanding of that. I do have a view that one of the motives – and I can’t stand over this obviously because we never know these things – but one of the motives is that the British want something strong to bargain with while Sinn Féin and others continue to shout about the past in this one-eyed game of truth and recrimination which they sometimes call truth and reconciliation. The truth here is: we want to tell the truth about you but we don’t want to hear your truth about us. And I think with Sinn Féin demanding the likes of prosecutions of the soldiers in Bloody Sunday and saying that any soldiers convicted will not be afforded the two year gaol sentence as the maximum gaol term. I think that the British state are going to make it very clear that they too have a card to play here and that if the past isn’t addressed in a proper way – in a way that puts it to rest – then there’s trouble for all. And we’re caught in the middle. That’s my view and how sustainable that is? I’m certainly open to persuasion on it. MEBAN: If the subpoena is blocked and it all goes away, what do imagine in ten or twenty year’s time people will think about The Troubles based on what they’ve learnt from the archive? Not around the truth and reconciliation just the actual story telling of stuff. Will it make a significant difference? MCINTYRE: Without revealing anything in the interviews, I do not think that people will come away with a view that war is something that should be glorified or conflict is something that should be glorified. People talk at times about this archive as if it’s some sort of true detective novel and they’re all waiting to get it so that they can look from one page to the next at the gory details. This project was probably at its root was an invitation to people to engage in deep moral reflection on the consequences of war and political violence. And I think that’s probably the most important point about it. How people who saw conflict, who were involved in conflict, who experienced conflict, how those people came to see it, how they actually seen it at the time and how they’ve come to see it later in life. And I think there are great lessons to be learned from it. I think it’s always important to ask people to ethically reflect on the actions that they have been involved in. And I think it always serves as a means to help protect future generations from going down the same path. I think we very much have to understand why people who would normally would run about in life, like yourself or your next door neighbour, end up becoming involved in political violence, serious political violence.